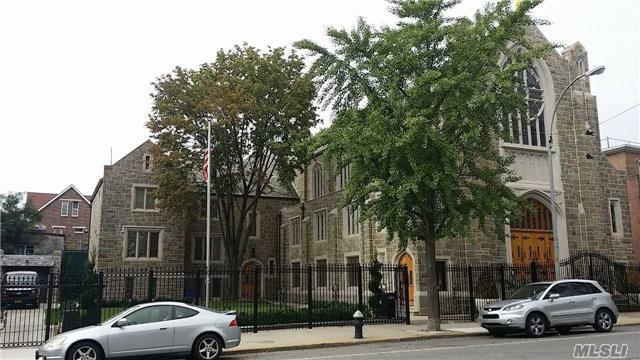 Bay Ridge Renovated State Of The Art Cathedral Church W/Gymnasium/Auditorium & Parsonage. 400 Person Seating Capacity In Main Sanctuary + 400 People In Auditorium. $3 Million In Improvements Incl: Central Air/Plumbing/Heating. Best Looking Bldg. Great Location (Off The Bqe And Belt Pkwy)Near Subway, Buses & Highways. Zoning R4. Possible Zoning Variance.